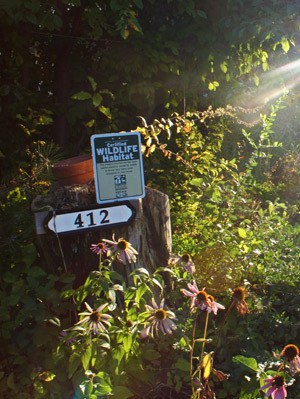 NIBLEY — If you drive down Hollow Road in Nibley, you will be hard-pressed to find a yard without a sign that reads, “Certified Wildlife Habitat.” That is because Nibley City is in the process of becoming Utah’s first certified wildlife habitat through the National Wildlife Federation. Ron Hellstern, the head of the Cache Valley Wildlife Association, says he has been in the process of getting the city certified for the last three years. 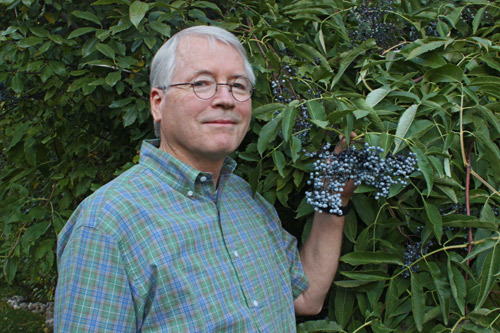 Initially, he became certified himself on his own 2-acre property several years ago, which, he said, was filled with weeds when he and his wife bought it 17 years ago. Hellstern said he eventually discovered he could take the wildlife certification to the city level, so he began recruiting his neighbors to become accredited themselves. Getting properties to become certified is a straightforward concept, he said. The certification also requires a yearly $20 fee. In return, the participants get a sign to put in their yards that demonstrates their property is a wildlife habitat. David Mann, a Nibley resident and participant in the program, said even on his small property, he was able to meet the requirements of the certification. Fellow resident Becky Yeager said another requirement of the National Wildlife Federation certification is that the city has to have outreach programs to educate the community about environmental issues. “We were at the Nibley Heritage Days giving out fliers and handing out literature about the environment,” she said. There also were activities for kids at Heritage Days, such as making tissue butterflies and pinecone bird feeders, said Yeager. 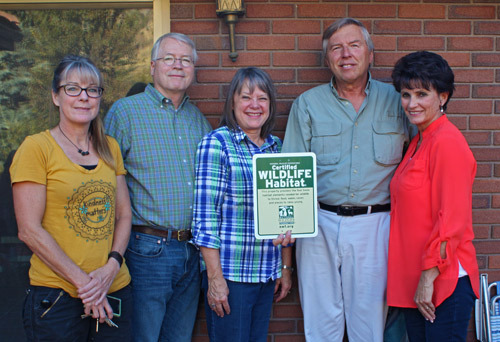 Given Nibley’s population (about 6,000), the National Wildlife Federation requires 75 private properties, along with a few schools and public parks, to be certified. Hellstern said he used to have to seek out participants to have their property certified as wildlife habitat, but once the ball got rolling, families would approach him and request to join the cause. Yeager said she embraced the program because she wanted to build her own home in a manner that would promote wildlife. Mann said he is one of those residents who is excited about the wildlife habitat because the program teaches an attitude of environmental responsibility to the world. Hellstern said becoming certified is not just beneficial to the environment. “From a human perspective, [becoming certified] raises the property price of where you live,” he said. Hellstern said he was turning in the application for Nibley to become a certified city last week. “We’ve done all of the shovel work and now it is just time for the paperwork,” he said.